H1Z1 Game Update: Combat Zone, Daily Challenges, & More! This update includes the Combat Zone, Daily Challenges, the start of Preseason 7, the all-new Payload Crate, and lots of tuning and quality of life updates based primarily on player feedback. 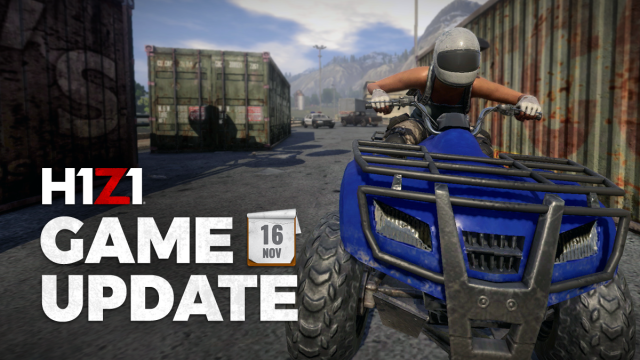 Servers will be coming offline for this update at 1:00pm PT (11/16) and will remain down for approximately 6 hours.